We offer Paper Poly Foil to our clients. Our products are known for quality as these are made of best quality raw material and under the guidance of professionals. With modern manufacturing facilities we ensure that we offer such products which cater to the needs of clients of many different industries. Backed by experienced designers, we are able to provide a vast array of Paper Poly Foil (Packaging Poly Paper) that are made from best grade aluminum. 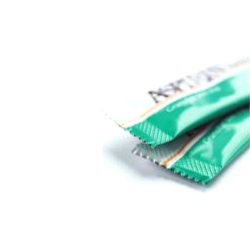 These foils are ideal for packaging medicines. Owing to their excellent texture and strength, the offered foils can form into different packing styles. Looking for Paper Poly Foil ?